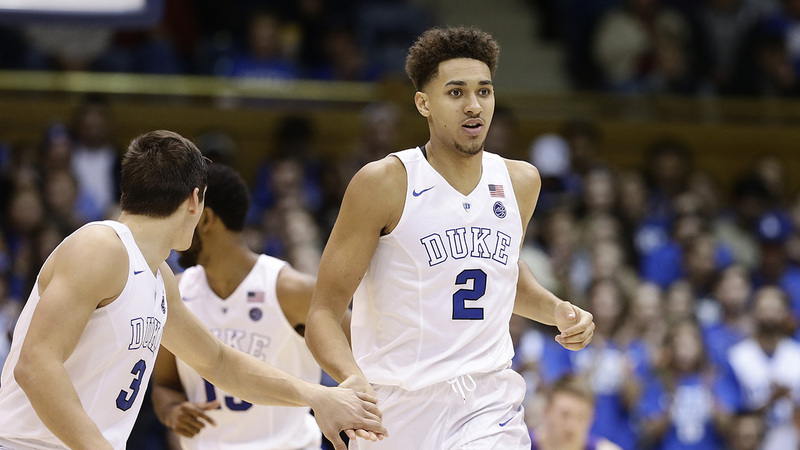 DURHAM, North Carolina (WTVD) -- Duke sophomore Chase Jeter will transfer at the end of the school year, the university announced Thursday. Jeter, a 6-foot-10 forward, played a significant role early this season while Harry Giles and Marques Bolden were hurt, but he didn't play after Jan. 14. He underwent a procedure in late January to treat a herniated disk. "Chase has been an outstanding young man in our program for the last two years," Duke coach Mike Krzyzewski said in a news release. "He has been one of our top academic performers since he arrived on campus. Unfortunately, he was held back this season due to injury. We wish nothing but the absolute best for Chase and his family." Jeter is a Las Vegas native who played 16 games in 2016-17, started six and averaged 2.6 points and 2.7 rebounds. Jeter will sit out next season and have two years of eligibility remaining.